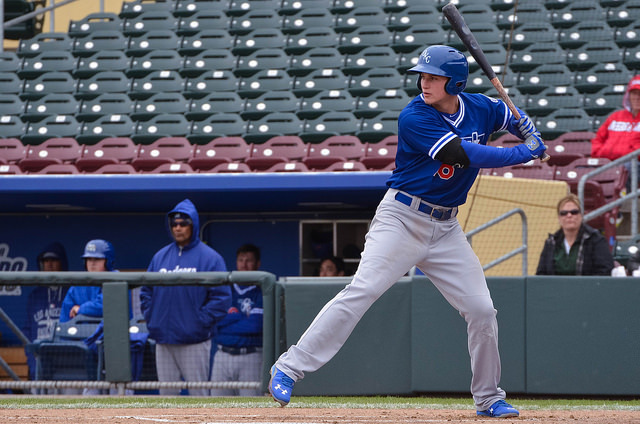 The Dodgers may have a new franchise player in Corey Seager. The Los Angeles Dodgers entered the season at the top of most team projection leaderboards. It isn't hard to see why. With their pair of aces at the top of the rotation along with impressive depth throughout not just their lineup, but their bench as well, they looked set to cruise to the AL West crown once again. They did end up winning the West, of course, but not with the dominance I expected. Kershaw and Greinke were exactly as advertised, if not better. Nevertheless, despite some pleasant surprises (Justin Turner! ), their offense was just "good," with average fielding and poor baserunning, to go along with a struggling bullpen. Still, it's hard to not expect them to be a superb playoff team. 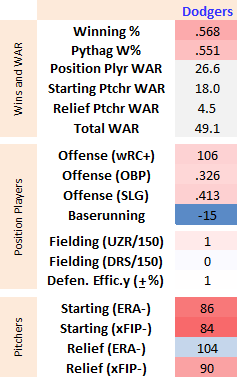 They now can have either of their aces pitch the majority of their games, they can leverage their roster depth as much as they like...and they now have Corey Seager, who has been ridiculous since arriving and taking over the starting shortstop role. This seems like a lineup that can and should change a lot from day to day. I'm showing their lineup against the right-handed de Grom from game 1 of the NLDS. But against a lefty, they can bring Kiki Hernandez and Yasiel Puig (who I'm surprised to see on the bench--but I haven't been following that this year, and Puig's offensive numbers are down). Yasmani Grandal, a king of pitch-presentation, got the majority of playing time behind the plate, and gives you a platoon advantage along with a strong bat. But the game-1 starting lineup is formidable. The team leader (among position players) in WAR this season (if you ignore pitch framing data) was Justin Turner, who I continue to find mystifying. The former Reds farmhand seemed very likely to decline substantially after a breakout performance last season, which seemed to be heavily inflated by a .404 BABIP. This year, however, as his BABIP regressed toward league average, Turner added some extra power while simultaneously shaving a bit off of his contact rate. Combine that with solid fielding at the hot corner and you have a 4-win season in just over 400 PA's. Joc Pederson made highlights earlier this season with a tremendous first half, but saw his playing time reduce a bit as his bat cooled. He has huge raw power (and good game power) and pretty good on-base skills, though contact can be an issue. A.J. Ellis, who got attention this year with Harry Pavlidis's attempts to quantify pitch calling, had a surprisingly good season (in small sample size territory) with the bat, given his history. Veterans Adrian Gonzalez, Howie Kendrick, and especially Andre Ethier have had nice seasons. The guy everyone is talking about, however, is Corey Seager. Seager was pretty much everyone's mid-season top prospect, and arrived in September to fill in for an injury to Jimmy Rollins. After hitting a solid .278/.332/.451 in AAA, Seager is off to a fantastic start to his big league career, slugging .337/.425/.561 in 113 innings. It's BABIP-y, but his K:BB numbers are very good, he's showing excllent power, and has apparently held his own defensively. In just 113 PA's, he has already posted 1.5 WAR. You have your 2016 Rookie of the Year favorite, and a guy that fantasy managers are going to go nuts over. He probably isn't Troy Tulowitzki, reborn. But he should be a fun guy to watch in this series. What really can you say about Clayton Kershaw and Zack Greinke? They were both spectacular this season. Kershaw cleared 300 strikeouts and was basically unhittable (again) all year long. Greinke didn't quite have his strikeout numbers, but had fantastic numbers across the board, and approached Orel Hershiser's record for scoreless innings. If you were a Dodgers fan, you really couldn't have hoped for better performances from these two. I'm sure people have written about it before, but I'm fascinated by the fact that Clayton Kershaw, a left-handed starter, doesn't really throw a change-up or splitter. He does throw a 12-6 curveball, however, which might differ enough in horizontal movement from his slider to serve against right-handers. It probably doesn't hurt that he seems to know exactly where it's going every time. Brett Anderson had a nice comeback season with the Dodgers this year. I remembered him as more of a dominant power arm in his heydey than he actually was. His strikeouts are down compared to his time with the Athletics, but what he has always done is avoid walks and induce ground balls. That's exactly what he's done again this year. Alex Wood was acquired from the Atlanta Braves mid-season in a complicated three-way trade with the Marlins, and has been decent as a 4th starter. He throws strikes and gets ground balls, while at least striking out the occasional batter. His delivery may be funky, but he's a solid-average starter. He's not slated to pitch in the short series, but seems likely to be the #4 guy in the NLCS if the Dodgers advance past the Mets. This is a place where the Dodgers struggled a bit this season. By the end of the season, however, they'd settled upon a set of solid arms. 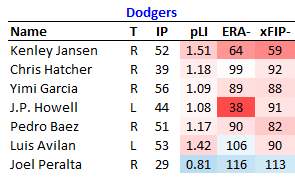 Kenley Jansen is really the only guy in this group who has really dominated. J.P. Howell has been on a happy side of the luck dragons this year, but he and everyone else have basically just been average relievers. Late innings are a place where opposing teams could potentially make up some ground against this team. Nevertheless, I really like this team. I love teams that can mix and match their position players at will, and the deep pockets and clever signings of the Dodgers have let them do that. And it's always fun to have two of the best pitchers in baseball within your rotation. As I write this, the Mets have a 1-0 lead in the 4th of game 1, but you nevertheless have to think the Dodgers are going to give them a run for their money.